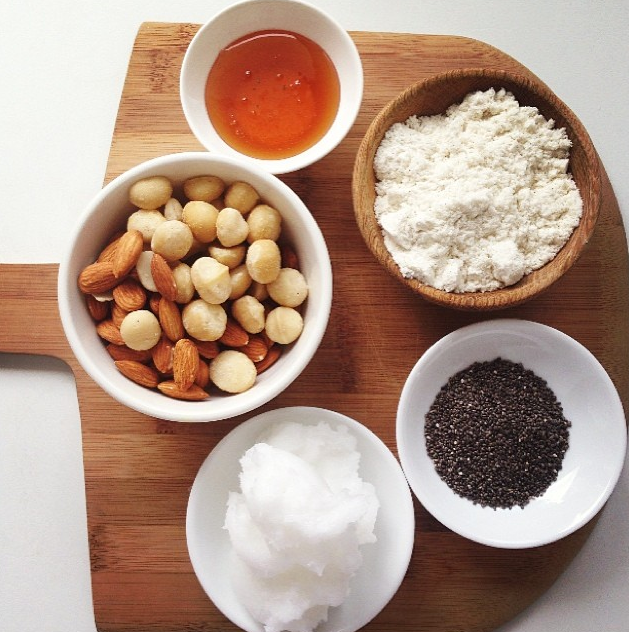 In a food processor combine all the ingredients (except the desiccated coconut) and blend on high until a smooth runny paste is formed, much like the consistency of nut butter – this may take a couple of minutes depending on your food processor. Pour your mixture into a bowl and refrigerate until hardened but still soft enough to shape – about 20-30 minutes. Take out mixture and spoon out heaped teaspoons, rolling into a ball and coating in desiccated coconut. Store in the fridge as the coconut oil can melt at room temp.